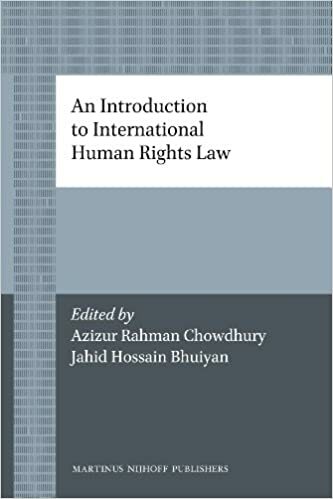 This book is designed to provide an overview of the development and substance of international human rights law, and what is meant concretely by human rights guarantees, such as civil and political rights, and economic and social rights. It highlights the rights of women, globalization and human rights education. The book also explores domestic, regional and international endeavors to protect human rights. The history and role of human rights NGOs coupled with an analysis of diverse international mechanisms are succinctly woven into the text, which well reflects the scholarship and erudition of the authors. This lucidly written and timely volume will be of great help to anyone seeking to understand this area of law, be they students, lawyers, scholars, government officials, staff of international and non-international organizations, human rights activists or lay readers. Originally published in hardcover. Municipality v. Various Occupiers, 2004 (12) BCLR 1268 An Introduction to Economic, Social and Cultural Rights 71 Minister of Health v. Treatment Action Campaign, 2002 (5) SA 721 (CC) Mohini Jain v. State of Karnataka (1992) 3 SCC 666 Paschim Banga Khet Mazdoor Samity v. State of Bengal (1996) 4 SCC 37 President of the Republic of South Africa v. Modderklip Boerdery (Pty) Ltd, 2005 (8) BCLR 786 (CC) Social and Economic Rights Action Center and the Center for Economic and Social Rights v.